Don’t be fooled, the Feinstein moderate is a myth. Feinstein’s just as liberal as Barney Frank and Nancy Pelosi. For 20 years, Dianne Feinstein has put her far-left personal agenda ahead of the American people. Feinstein is a champion of the left’s higher tax-spend-and-regulate agenda, and she’s done a very good job of helping it succeed. She has rarely lead on substantive values and votes with her party 96% of the time. It’s time to show Feinstein the door. Retiring Dianne Feinstein means game over for Democrats in the U.S. Senate. When we succeed, the GOP will undoubtedly take back the Senate. So please help Elizabeth deliver the checkmate move? Please follow this link to make a contribution of $25, $50, $100, $250 or more to defeat Dianne Feinstein on November 6. Perhaps worse than being a diehard liberal is how out-of-touch Feinstein has grown. Between her personal wealth and long-time Washington elite lifestyle, Feinstein hasn’t the slightest clue what it’s like to raise a family in the current economy in California. Based on her legislative accomplishments, she also has no idea what issues we care about! Given the record-setting debt she’s helped the federal government rack up and her aloofness, It’s time to send the big government tax and spenders home. Send a new shot heard around the world, socialism is a failed model the United States will not go the way of Greece and other failed economies due to the lust of Diane Feinstein and her fried for power and perks. 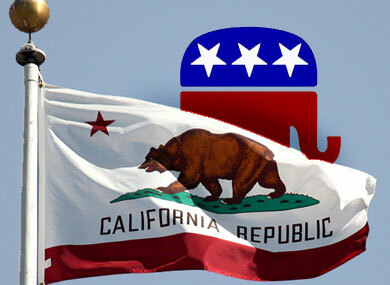 It’s time the United States and California are represented by persons of the people, for the people and by the people. In doing so the message will resonate and Emken and other fiscal conservative will begin turning the financial chaos in our country around. So will you contribute $25, $50, $100, $250 or more towards firing Dianne Feinstein today? With your help, we’ll take down the liberals’ lynchpin and pave the way for a new Republican majority in the U.S. Senate. Liberal and out-of-touch. That’s two strikes for Dianne Feinstein; please help her deliver the third? Stand with Elizabeth Emken today to hold Feinstein accountable for playing accomplice to the left’s tax-and-spend-and-regulate agenda by on November 6th.